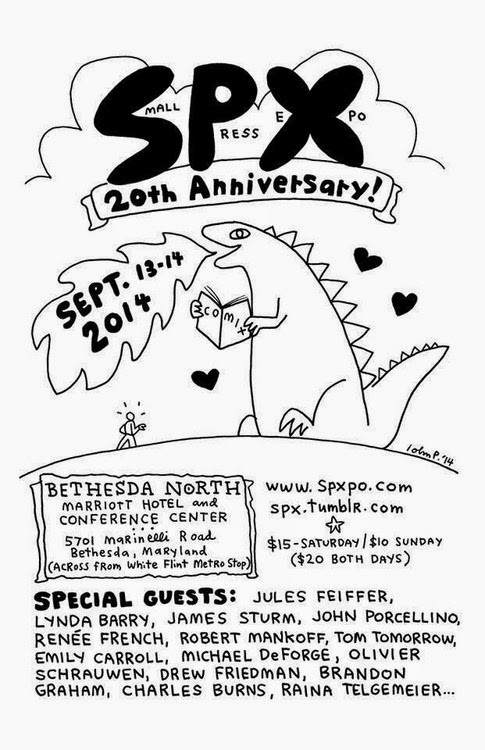 SPX (Small Press Expo) is celebrating 20 years of the show this year and if the guest indications are anything to go by, it promises to be a stonker. As part of the tribute, the Maryland festival has announced an alt-weekly focus, with special guests Lynda Barry ('Ernie Pook’s Comeek/Chicago Reader cartoonist turned inspiring college educator'), Jules Feiffer (Pulitzer prize winning creator of the Village Voice) and James Sturm (Market Day, co-founder of The Onion). 'This spotlight on the cartoonists of the alt-weekly world for our 20th anniversary show is long overdue. Starting with Jules Feiffer almost 60 years ago, the unfortunately now-declining alt-weekly has a rich heritage whose influence extends into today’s graphic novel and comics scene. SPX is very excited to have this first-of-its-kind tribute to the influential comics creators of the alt-weekly world,' executive director of SPX, Warren Bernard told the Washington Post. 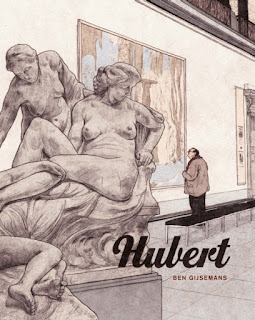 Other guests announced include Renee French, Brandon Graham, Box Brown, Michael DeForge, Olivier Schrauwen, Emily Carroll, Raina Telegemeir, Charles Burns, and more. That's quite the line up. Nicely varied, too. It's difficult to gauge from my vantage point here in the UK without having ever attended, but the two comics events that seem to generate the most excitement and chatter, the ones that people really seem to gear up and prepare for, and artists want to exhibit at, are TCAF and SPX. Much like Thought Bubble and ELCAF here, they seem to benefit from having a strong identity and being put together with passion and care. I hope I make it to either one at some point.